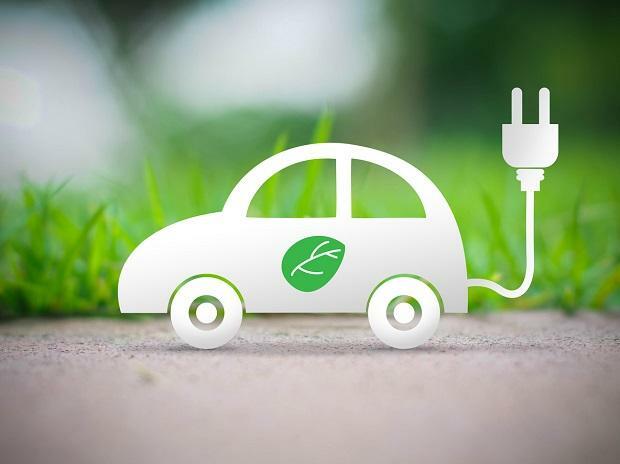 The government’s policy push in favour of electric vehicles has come at a time when automobile and oil industries are investing over Rs 88,000 crore in meeting the fuel emission norms. Apart from this, automobile firms are also gearing up to comply with the fuel efficiency norms, bringing into question the viability of these investment if electric vehicles are the way forward. The future of investment in oil refineries -- whether it’s their upgrade to meet the fuel quality standards or expansion -- is bleaker than that in automobile companies. “The worry is that if the automotive fuel market is not expanding, what happens to the investment being put in refineries. They will have to increasingly depend on petrochemicals,” said B Mukherjee, former director (finance), Hindustan Petroleum Corporation. Diesel, at 76 million tonnes, constitutes 40 per cent of the total petroleum consumption in the country. Petrol is another 23 million tonnes, taking the share of the two fuels to almost 52 per cent. The government-controlled Indian Oil Corporation, Hindustan Petroleum Corporation and Bharat Petroleum Corporation are investing Rs 28,750 crore for meeting the BS-VI emission norms for fuels. Automobile companies are also planning huge investment to comply with the auto fuel policy under which the intermediate BS-V level is to be skipped, and automakers and fuel suppliers are expected to leapfrog to the BS-VI norms by April 1, 2020. According to the estimates of the Society of Indian Automobile Manufacturers (SIAM), this would cost the industry around Rs 60,000-70,000 crore. “At this stage, vehicle manufacturers need to allocate their financial resources across new products, electrification of existing platforms, new electric vehicle platforms, and BS-VI compliance. They will need to prioritise the investment based on compliance needs, customer requirement, competition and new market opportunities in the form of e-vehicles,” said Rakesh Batra, partner and sector leader automotive, EY. According to Mukherjee, refineries usually take about five to six years to recover investment in quality improvement. For automobile manufacturers, the returns on investment depend on volumes. “The Indian automobile market is fragmented. There are only two to three players that have substantial scales of economy. It could take three to five years to recoup investment made in a technology, depending on the production volumes," said Sugato Sen, deputy director general, SIAM. For instance, it took Mahindra some seven years to come out with another vehicle after it launched Scorpio in 2002 since it could not gather enough volumes initially. Automobile companies now also bank on export volumes to recover their investment. RC Bhargava, chairman, Maruti Suzuki, the largest automobile manufacturer in the country, however, said the companies would be able to amortise the new investment in six to seven years. “Still, how the market eventually absorbs the cost would largely depend on consumers and the pace at which electrification takes place,” he said. If the government makes shift to electric vehicles mandatory from 2030, it would make all the investment made in vehicle technology redundant within 10 years from meeting the BS-VI deadline. There is no commercially available BS-VI technology in the world for the small category of vehicles used, especially in rural India for transportation of goods and passenger, as these vehicles are unique to India. These technologies are under development from the scratch and would take considerable time to develop. The time-frame of three years available with the industry is itself very challenging, according to SIAM. “The migration from BS-IV to BS-VI is a huge technological challenge. Under the original Auto Fuel Policy document of the Government of India, we were to move to BS-V in 2020 and BS-VI by 2025, but it was decided to skip BS-V altogether and advance BS-VI to 2020. As a responsible industry, we accepted the challenge in the national interest. This is the first time auto industry is doing such leapfrogging anywhere in the world,” said Sen. Automobile companies have to manage particulate matter, NOx and fuel efficiency and simultaneously move to electric vehicles. “Still, every time a technological challenge is thrown at us, we have met it but for that we need a clear policy and road map. It cannot be plug and play. They (techonology) cannot be lifted from abroad and need extensive validation and testing for local conditions,” said Sen.
Norway is one of the very few countries where the shift to electric vehicles is happening already though most are second-hand Nissan Leafs from Japan. In Japan, pure electric cars are a small percentage and charging stations are tough to find, said IDTechEx in its latest report. Japan pursues fuel cell hybrids and have something of a hydrogen-charging infrastructure for them, but buyers are few. Bhargava said the automobile sector added a lot of value to the economy through employment and tax, and therefore, a clear road map was important. The year 2030 is still not the official deadline but even if it comes into play, the cost and weight of batteries, pricing of vehicles and provision of charging stations will create issues.